It's time to Strut for homeless pets! Get ready, get set, get your pooch warmed up ..it's time for Best Friends Animal Society's First Annual Strut Your Mutt in Austin. 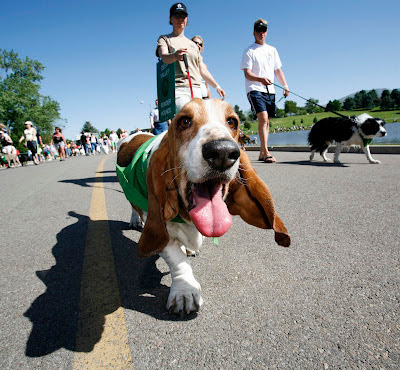 Join us for a fun walk and the ultimate doggie festival that supports local animal rescue groups and helps to save the lives of animals in shelters! Your Pet Got Talent? Don’t miss our fun stage contests at the event, hosted by YNN meteorologist Mary Wasson! 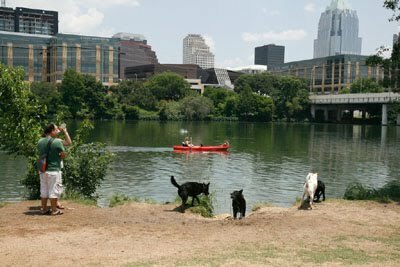 Who: Animal lovers in the Austin area who want to raise money for homeless pets, and have a great time with their dogs. What: Leisurely group dog walk followed by a doggie themed celebration festival that includes pet contests, photo opp's, treats for your dogs, fun activities, refreshments and more. When: Saturday, September 29, 2012. Registration begins at 7:00am; walk begins at 8:30am. Festival ends at 12pm. Why: To raise money for one of our participating local animal rescue groups (our No More Homeless Pets Network Partners) and Best Friends Animal Society, and help bring about a time when there are No More Homeless Pets. Virtual Fundraiser (not attending our official Strut in Austin): $10 (does not include a t-shirt but our 2012 Strut shirts will be available for purchase). Virtual Fundraisers, like Individual Walkers, can raise money for Best Friends or for a participating Network Partner--but will need to join a Network Partner's Dog Pack in order to raise money for that group. Note: every person who is attending the event must be registered in order to participate. The top individual fundraiser and his/her dog will be recognized in Best Friends Magazine and on the 2013 Strut Your Mutt t-shirts!! To learn more about Best Friends Sanctuary click here.